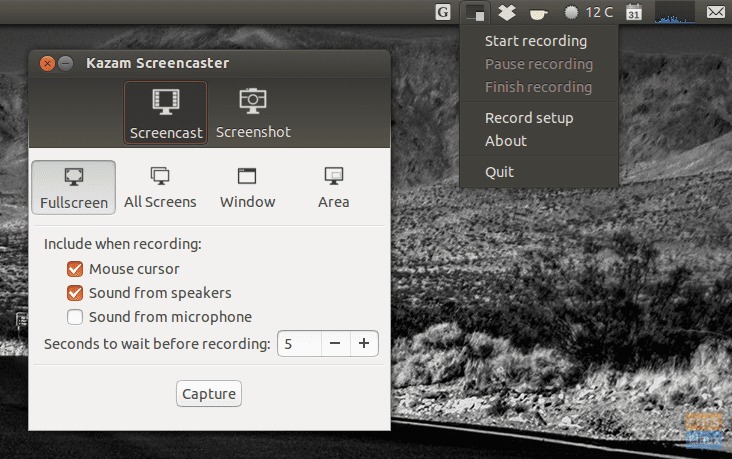 Whether you want to record your desktop screen or take a simple screenshot, FOSSLinux has got your back. 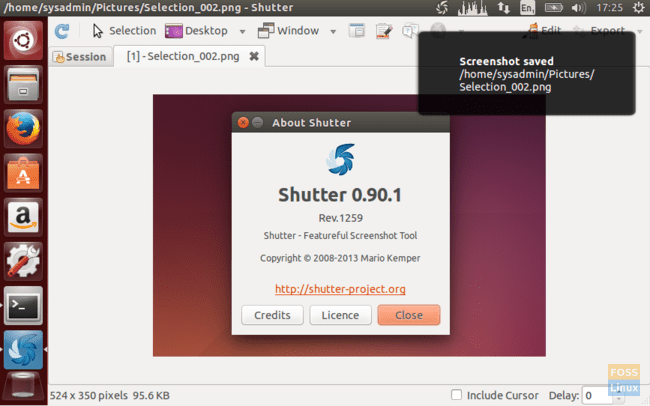 Here are 10 Best Screen Capturing Tools for Linux. As we know, operating systems don’t usually come with software for capturing or recording the screen. Even though Linux based systems are very resourceful, we still don’t have a built-in screen capture tool. Finding the right tool that exactly fits the bill is a time-consuming process. Well, we thought about saving you some time researching you. Do you want to make a video tutorial for YouTube or show-off your epic victory royale to your friends? Look no further — as we have compiled the 10 Best Screen Capturing Software for Linux. Whether you need to record your desktop screen or take a simple screenshot, FOSSLinux has got your back. Go on and find the best one that suits your needs. Below is the list of the ten best screen capturing tools available for Linux in 2019. This screencasting software is perfect for gaming streamers or those who want to make professional tutorials. As its official website mentions, the tool is designed for your video-recording and live-streaming needs. 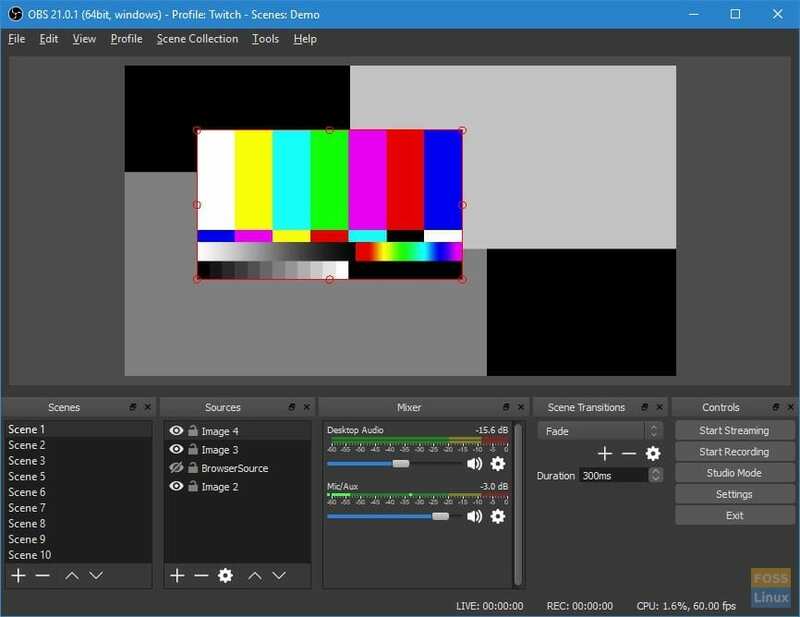 Open Broadcaster Software Studio is jam-packed with rich features that aim towards professional level users. It provides real-time video/audio capturing and mixing, which can be both time-saving and useful for live-streamers. Not only that but there are a bunch of other configuration options present in its Streamlined Settings panel, giving you the ability to modify your video or live-stream in every possible way. Add in some custom transitions to make your video slick and engaging. Do you need the audio to be crisp and noiseless? OBSS comes with an intuitive audio mixer, which has multiple filters that help with increasing the clarity of your audio. Beginners may find this software a little hard to use, considering its extensive features. It is also worth noting that this software is entirely free and doesn’t come with any hidden charges as well. Most people want a screen-recording software that does one thing and one thing only — record the screen. If you only want to do basic screen-recording, you don’t need a screen recorder with advanced features, because the unnecessary bulk will hog your computer’s resources and slow down your recording process. Considering this, Kazam is made. If you don’t want to get all tangled up in the complexities just for directly recording your screen, try going for Kazam. It is a straightforward software with an even simpler UI. There is no need to spend any time learning how to use this software. Even beginners will have an easy time recording their screens with it. Kazam has only the most essential functions to capture or record screens. However, there are multiple options when it comes to the size of the screen capture and what is included in it. You can capture ‘Full screen’ or ‘All screens’ or only a selected ‘Window’ or ‘Area’ of your screen. You don’t have to spend a single penny to get this software as it’s free. If you only need to take screenshots and do not require any screencasting abilities, Shutter should be your go-to software. Using Shutter, you can not only take screenshots but also manipulate them in a variety of ways. It lets you edit your captured images by giving you the tools to add text, pixelate content, and apply effects. Moreover, it is also possible to upload the screenshots to hosting sites through Shutter. It does have options to capture a specific area of the screen in addition to a full-screen capture and window capture. The software is free to use and also incredibly user-friendly. ScreenStudio is another excellent option for streamers as it offers features that are now trending in the streaming world. We’re sure that you would have noticed in almost every stream, how the webcam output is overlayed on top of the desktop screen. ScreenStudio allows you to do just that and much more. Not only that, but users will also be able to live-stream on various streaming platforms such as Twitch, UStream and Hitbox. All the output videos will be in HD as nobody settles for anything less in this era of high-resolution displays. 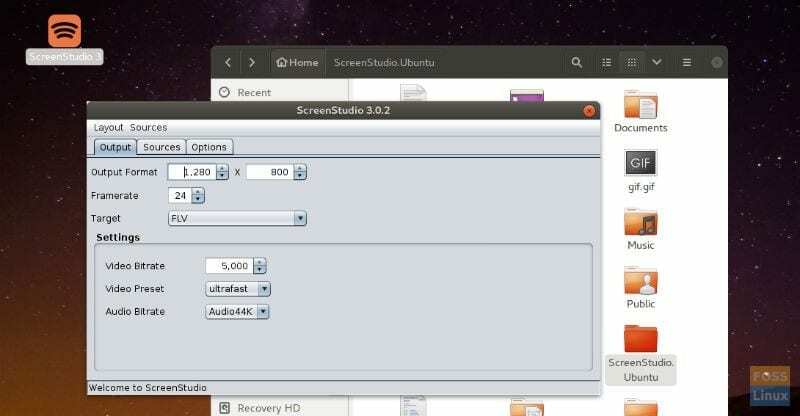 You can get ScreenStudio for a non-discounted price of $0 — YES, it is free. Also, the software is available on Windows 10 and OS X as well. This tool is suitable for all the coders out there who know a thing or two about using the command-line interface. This screen-recording software is based on the CLI interface and allows you to tweak your output file quite a bit. Not a fan of the CLI interface? No problem, as recordMyDesktop also comes with two Python-based GUIs. The CLI is written in C, which makes the program less memory intensive. 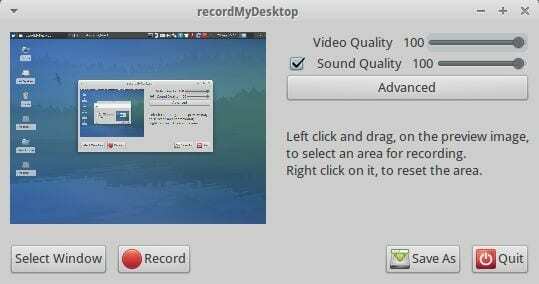 It is possible to record a single window with recordMyDesktop, but it does not support webcam recording. In case you are looking for more features, you should take a look at the other competitors in our list as this one does not offer many. CLI enthusiasts are certainly in luck as there are numerous CLI-based software available in the market these days. One of them being ImageMagick, which is an image-editing tool that also lets you take screenshots. The most significant feature of this software is that it supports more than 200 formats, including JPEG, PDF, and SVG. In addition to that, it is a full-fledged image-editing tool that supports animation, color management, special effects, and much more. With the software, you can also produce gifs out of your selected images. 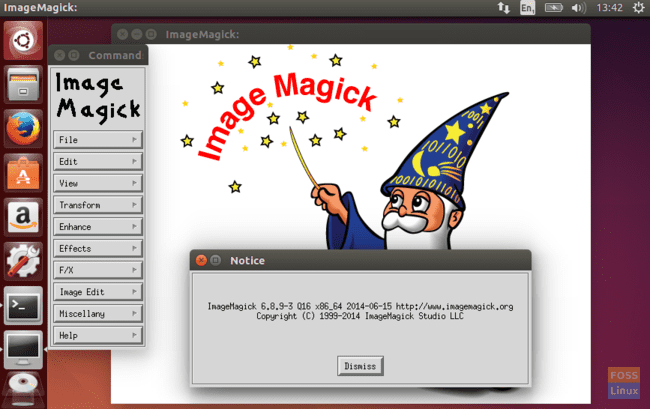 Although ImageMagick is based on the CLI interface, it also comes with a variety of GUI interfaces written in different languages including C, Python, and Ruby. If there’s a software out there that’s truly cross-platform, it’s none other than ImageMagick because it runs on Linux, Windows, OS X, iOS, Android OS and surprisingly other operating systems too. Are you a student looking to make a presentation or a teacher who wants to share his knowledge through tutorials? If yes, go for Wink as it has been made explicitly for these purposes. Wink offers features of capturing screenshots, adding explanation boxes, buttons, titles and much more. Accordingly, you will be able to make both presentations and tutorials professionally. In addition to that, it has a standard Windows-based UI alongside drag-and-drop support, which makes it easy to edit videos. If English is not your first language, worry not, as Wink comes in different languages such as German, Chinese, and Japanese. It is also freeware and works with Windows platforms as well. VokoScreen is another screencasting software to be added to this list. However, what makes it different from the other tools on this list is its simplicity and intuitive interface, thus not requiring you to spend any time in learning. VokoScreen comes with some handy features: multiple video output format; webcam support and preview; delay timer; and hotkey support. It is also possible to record a part of your screen or a single window if you like. With a UI so simple, some people could consider it to be lackluster, but it all depends on your preferences. This software is free to download and use. Seriously, is there anything that GIMP cannot do? Apart from its ability to edit images and even videos (as discussed in our previous article on 10 best PDF editors for Linux), it allows you to take screenshots as well. To make a screenshot, you have to open the File tab from the main toolbar and select ‘Create Screenshot’ from the dropdown list. GIMP has basic screen-capturing features like taking a screenshot of either a single window or a specific area of the screen. Unlike other screen capture tools, you don’t need any extra image editing software to complete your job after you take the screenshot. GIMP gives you access to a bunch of tools that let you edit the image and get the desired result without switching to another program. Similar to other software on this list, GIMP is open-source. Users of Windows and OS X can get their hands on this software too. Gifine provides support for both .gif and .mp4 formats, allowing you to create either a gif or a video. It is a lightweight and simple application. However, it does not require you to compromise on the features, it comes with basic screen-recording features that let you record a specific area of the screen, adjust frame-rate, and edit and trim the output video. The software is good at the functionality, but you should not expect an above-average user interface, as it falls short in this regard. Moreover, the number of prerequisites for using Gifine is also overwhelming. With that said, you won’t face any problems making videos and gifs once you’ve installed and figured out how to use this freeware. So that was our list of 10 best screen capture tools for Linux. It is a fact that almost everyone needs to either record or take a screenshot of their screen at some point. The number of Linux distributions are growing and so are the number of cross-platform, screen-recording software available in the wild. The listed Apps can get every aspect of screen-capturing done. Starting from a simple image screenshot tool such as Gifine to a powerful Snag-it alternative ‘Shutter’ – Linux has it all. So which one is your favorite screen-recording software? Tell us in the comments down below.